My interest in music and technical audio started at a young age. With severe hearing loss from birth, I've always been fascinated learning the science behind sound and the way that these waves interact with our ears and brains, work together to create music, and impact our emotional responses. Although my current position has me out in front leading a band each week, my passion is building relationships with others and being in a support role, ensuring that all the technical aspects and musical aspects of a church service or event match up to create a consistent, high-quality end product. I am passionate about people and strive to forge strong bonds not only with my current team at Bethlehem Lutheran Church, but also with professional production companies, venues, and musicians so my team and I can keep growing, learning, and improving outside of ourselves. At Bethlehem (Lakewood, Colorado), and in my past experiences at Christ Community Church (Greeley, Colorado) and Our Savior Church (St. Petersburg, Florida), I established a supportive environment for musicians, vocalists, and technicians to develop their skills and work together to maintain a high production value. Each week, I assemble our musicians, vocalists, operators, and technicians, and choose music based on the strengths of the team available. I coach all of my volunteers (musical and technical) in a group setting and with one-on-one sessions, in an effort to expand their ability as an individual, elevate their contribution to our team, and to build on our relationship. As the Director of Worship Arts, I made it a priority to update outdated systems throughout our venues at the church. I have led the install of new equipment in three of our venues in the past three years, including new audio systems, new lighting systems, and a major set redesign. I ensured that our new technology interfaces with our current infrastructure. We have multiple church venues, and I ensure that our inventory of lighting, video, and sound equipment is maintained and operational across venues. I also record and mix our service for radio broadcast each week. I am the FOH Engineer for all services across venues (we have four each week) and design lights (JANDS Vista) each week. I also schedule and recruit musicians, AV volunteers, lighting operators, and sound engineers for our weekend services and special events. Investing in anyone who is interested, I try to always find an appropriate spot for every level of experience and ability on my team. During my time in Rough Draft, it was my responsibility to set up speakers, the front of house console, amplifiers, and in-ear monitors for performances at hundreds of different venues, including summer camps, churches, outdoor venues, listening rooms, and major festivals for our four-person full-time band. Photos showing venues before and after redesign and installation of new lighting and design elements. I recorded and mixed the audio in the videos below; that's me singing and playing guitar in the front, too. I have known and worked with Dave for over a decade in many facets of the entertainment and production industry. From touring together with Dave as a managing member and leading musician to consulting and assisting him in his roles as a resident designer and technical coordinator. Dave’s grasp and understanding of technology, trends, environment, audience, music, message, and composition are second to none. He is constantly challenging himself and others to raise the bar of production and value, while maintaining focus on the honest intent of the artists involved, and fostering an environment of education, understanding, and growth. I have personally witnessed Dave make the most monumental impact out of the most humble budgets. Making sure the impact of the incremental improvements are focused and always moving in the direction of the common goals. I have also seen Dave oversee major renovations and redesign entire systems with tremendous efficiency and outcome. Completely revitalizing venues, communities, and productions, while maintaining the authenticity and uniqueness of the client, venue, or event. Dave’s ability to focus on the fine details of every aspect of production while maintaining a perspective on the big picture is something to be admired. Not only does he understand what building blocks it will take to achieve your goals, he has the tools and vocabulary to efficiently and effectively communicate those needs and help guide you on that course. Dave is an exemplar of passion and excellence in music and production. His passion for quality and creativity stand a head above the rest. From countless musical interactions with Dave I have noticed an advanced musical vocabulary as well as an excellent critical ear. His ability to facilitate an organic feel with a tight produced sound is something people strive their whole life for. Dave is not only a phenomenal musician but a wonderful leader, and a superior listener. Dave brings production value where ever he goes. His eye and ear for what will make something go from passable to extraordinary is second to none. I have personally witnessed the transformation he has had in the integration of new audio and lighting systems at his place of employment which has not only aided in his department but his passion for excellence has trickled out into the other departments and has caused positive growth in formerly stagnant places. Musically, Dave has proven himself to be of an advanced status in the areas of audio mixing, music production, and musician relations. Dave is some one you want on your team. He has proven a valuable resource for myself and many others time and time again. He has the ability to not only listen to a mix and comment constructively, but also to take into account the musicians desires and musical context in order to provide the most poignant, personal praises and criticisms. Dave brings excellence and an unmatched ability to relate and learn to any place he goes. Having worked closely with Dave King for the past 7 years, in two different organizations, and two different states, I can share that his skill set as a tech director in the area of audio engineering is spectacular. I have seen Dave enter into many spaces that needed to be used regularly for large presentation, using both audio and video, and exceed expectations. In addition to setting up spaces, I have also witnessed him trouble shoot equipment, make modifications or fixes, and return equipment to working order. Whether audio/video needs are large or small, Dave has a knack for coming through with desirable outcomes. In the past year, Dave has overseen a $175k lighting project that involved a complete new lighting design, and included multiple companies and electrical engineers. He has also redesigned our audio set up in multiple presentation spaces, including sound boards, amps, wireless mics, in-ear monitors, etc. Dave is capable of handling large projects, providing hands-on audio engineering, and training those around him to succeed. I worked personally with Dave as an intern at Our Savior Lutheran Church for roughly four years, and in those four years I progressed not only more as a musician, but as an individual as well. Because of Dave, I developed an ear for the small details in music and sound that I wouldn't have picked up on otherwise. He always expressed the importance of dynamics in songs, and levels of all instruments involved. When I hear live music now, the first thing I listen for is, well, being able to hear every instrument. I also learned quickly that louder doesn't always mean better, it is never a competition as to who can be heard, but rather, what we sound like together. No one musician is the star of the show, but collectively, we can have an impacting sound that, as a team, we can all feel good about. Aside from the physical ear for music Dave pushed me to achieve, he pushed me to be so much more than just another guitar player. He most definitely believed in me more than I ever had myself, and that alone was some sense of motivation. I wanted to be better for the sake of our entire band, not for myself. He helped me become a more selfless individual, while teaching me about my own worth at the same time. Dave constantly provided perspective on situations, which in return has made me a much better listener, and communicator. Because of these traits, I have become quite the mediator, which is a position that I don't mind having at all, especially in a band setting. Keeping people grounded and open to new ideas and sounds while also taking into consideration everyone's opinion was something Dave was always unbelievably good at, and I strive to operate at that capacity in any band setting I happen to be a part of. Dave has truly influenced and changed the way I operate as a musician, but also as a friend, and I couldn't be more grateful for lessons learned, and the relationships built. I have worked as a musician with Dave King in a variety of settings through the years. Having served as a director of worship arts in churches with weekly worship attendance in excess of 1,000 each week, I have been fortunate to work with many people who have immense talent and skill. I first had the opportunity to work with Dave in 2010 when he auditioned to play bass on my team. I quickly found Dave to not only be a highly skilled musician, but also a natural leader in the technical arts and a diligent student of music. Dave not only conquers every task he is given with excellence, but more often than not anticipates the task and responds in a proactive manner. Dave has worked with me on recording projects as both a musician and a sound engineer. His ability to pull a project together on both a sonic and an emotional level is second to none. There never seems to be a piece of gear that he hasn't researched and learned thoroughly or a best practice with which he is unfamiliar. Not only is Dave an asset in the studio environment, but I will not play a live show without him if I can help it. His ability to coordinate between musicians and technicians to is a skill I have rarely encountered in my career. Dave can take my vision as an artist and communicate that to a team of technicians in a live or studio environment to bring it to life. Whether he is setting an EQ, mixing monitors, playing piano, crafting a bass line, or running the console at front of house, Dave King is one of the most competent and passionate musicians and technicians I have ever had the pleasure of working with. I am confident that Dave will exceed any expectations put upon him. If I can be of assistance in further discussing Mr. King's skills or experience, please don't hesitate to contact me. I was a member of the band Rough Draft for two years (2008-2009) and participated in songwriting. As an equal partner in the band, Rough Draft taught me the business aspects of being a successful touring, performing musician. 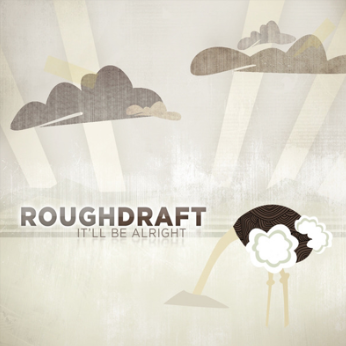 In addition to playing national tours with over 200 live shows, I composed and recorded bass for Rough Draft's album It'll Be Alright in the studio. 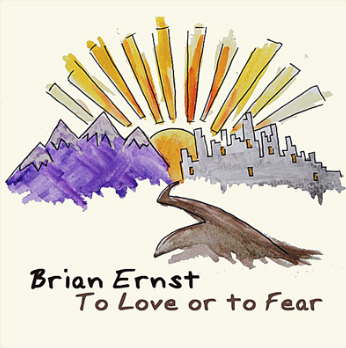 I recorded improvisational bass for three of Brian Ernst's albums (2011-2014), including a live album. Brian is a looping, one-man-band performance musician. I've played with him live many times (breaking his "one-man-band" tagline so I could join him), adding a pulsing and varying bassline to his layers of looped sounds. For Brian's live album, Any Given Sunday, my bass added interest as Brian stacked dozens of looping sounds to create his songs. 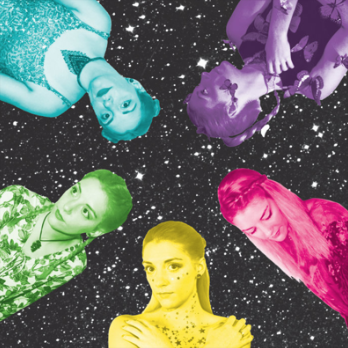 I composed and recorded bass for two songs on Alenni's debut album, Constellations (2017), joining a wide variety of other instruments to create Alenni's complex, whimsical sounds. While in Rough Draft, I played acoustic guitar, bass guitar, keyboards, and sang backup vocals for more than 200 shows across the U.S. including secular stages, Christian camps, churches, worship venues, and major festivals. ​As part of the band, I upheld the aesthetic and performance energy expectations of the group to help create a cohesive look among band members. As a band leader for Christ Community Church, I played acoustic guitar, bass guitar, electric guitar, keyboards, and sang backup vocals for 100 out of 104 weekend worship services over two years for church of over 2,000 regular weekly attendees. As band leader, it was my job to rally the other musicians, keep everyone in sync with the lead vocalist, and to guide the band through surprise transitions and on-the-fly changes to the set. I've been involved in the logistics for special events including of festivals and intimate venues, including organizing large-scale ‘Worship Arts Weekends," which had a number of complex elements such as live painting, slam poetry, choir, brass section, and theatrical pieces all tied together with music. I also performed at these events. In addition to big events, I've also been the weekly lead for a two-hour community gathering, creating a two-hour set list each week and leading the music with acoustic guitar and vocals. This community, ages 20-30, was encouraged to dance, write, draw, sing, and explore other ways of expression during the music that may not be possible in a large traditional church setting. In my current role as the Director of Worship Arts for Bethlehem Lutheran Church, I lead a band of 6-8 musicians for our services every Thursday and Sunday. The behind-the-scenes work that goes into each service includes song selection, organizing and running rehearsals, meeting with and training volunteers, programming lights for each song, and videotaping the service. I make it a point each week to watch the video with my team of musicians, and we have a weekly conversation about how we can improve our performance musically, visually, and technically.